SEATTLE — When understanding facts about Azerbaijan refugees, it is important to note that refugees and internally displaced people are of a different status. Refugees are people who are outside the nation of their nationality, while Internally displaced people are essentially people who have fled their homes, but not crossed an international border. Regardless of their status, both groups of people currently residing in Azerbaijan can receive government aid, which United Nations officials have praised for its effectiveness. 1. Refugees and asylum-seeker population comprise of a variety of ethnicities and nationalities. Refugees of Azerbaijan are mainly Chechens, Afghans, Pakistani, Armenian, Iranians, Iraqis, Palestinians and others from the Middle East, as well as citizens of the Russian Federation who have escaped the conflict in the Chechen Republic. 2. The refugees of Azerbaijan are the result of a variety of international disputes. In 2012, the nation’s main focus was the issue of internally displaced people produced by the unresolved conflict over the Nagorno-Karabakh region. 3. Numbers of refugees and internally displaced people are only slightly lessening. 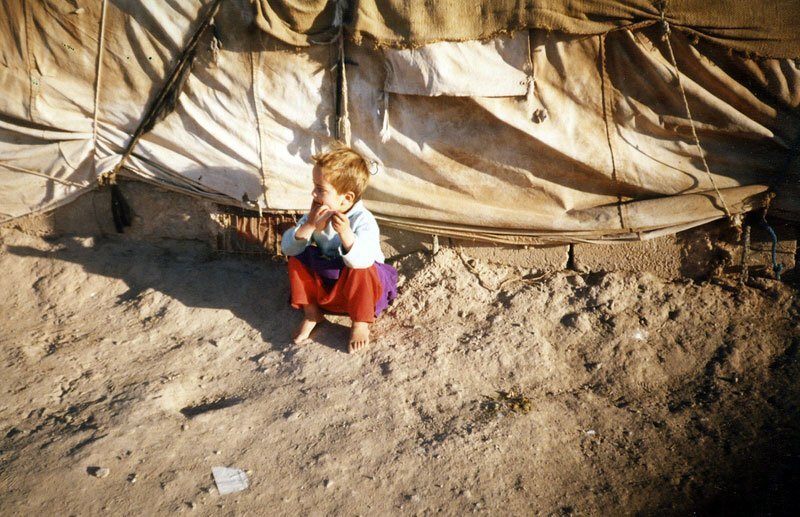 Over 20 years ago, the conflict internally displaced 600,000 people, and some 25,000 Azeri refugees of Armenia. However, the number has risen again due to the unresolved Armenian conflict to 618,220 internally displaced people. There are currently 3,585 stateless persons — a significant improvement compared to past years. 4. Azerbaijan’s cooperation with the United Nations Human Rights Council benefits the refugees greatly. UNHCR contributed greatly to the overall 1 billion dollars from the international organizations funding the social defense and recovery of Azerbaijan’s refugee population. Such funds have been put forth to grant citizenship to all the refugees that came from Armenia together with 50,000 Meskhetian Turks that had been drawn out of Central Asia by the government of Azerbaijan. Funding also supplements the different needs of the two populations of Azerbaijan refugees: the smaller population of refugees from other nations, and the larger population of internally displaced people. Both groups are given the assistance needed to be able to build a life in Azerbaijan, through the development of programs by the Deputy Prime Minister, Chairperson of the State Committee on Affairs of Refugees and Internally Displaced Persons. This role entails the preclusion of violence towards refugees, and focuses on rebuilding their lives through aiding in finding employment, and increasing their standard of living. 5. The government relies heavily on foreign aid. 400,000 internally displaced people from Azerbaijan are still not living in proper living conditions. Because of the scale of the internally displaced people issue, the nation relies heavily on the assistance of international organizations to help provide adequate standards of living for all people. 6. Good water quality in Azerbaijan is lacking. The majority of the population of Azerbaijan lacks access to clean water, especially refugees and internally displaced individuals. Unfortunately, it is because of the rapid increase in population that sanitary water is lacking. Most of the infrastructure was designed during Soviet times, so places are simply not equipped to provide enough access to clean water. Governmental plans to address these concerns are in progress; however, every attempt seems more expensive than the next. An 870-million-manat (about $1.1 billion) pipeline, bringing water from the northern town of Oguz, is anticipated to drastically boost the nation’s capital of Baku’s water capacity by allowing water to be accessible for 12 hours a day in households. 7. In 2007, the last of the “tent camps” for refugees was closed. In the past, much of the government provided housing included tent camps, until 2007. Since then, the government focused its efforts on building temporary housing with all necessary utilities, along with schools, hospitals and other services. 8. Poverty rates are decreasing for Azerbaijan refugees and stateless people. Whether they are a part of the rural or urban population, Azerbaijan refugees and internally displaced people are affected greatly by poverty. However, the past ten years have seen significant growth for Azerbaijan, as their strong social policies of equality and peace have led to a drop in unemployment rates. The development concept “Azerbaijan – 2020: the Vision of the Future” leads the government’s focus on poverty, focusing on increasing salaries and pensions. As a result, poverty declined from 49 percent in 2000 to 7.6 percent in 2011. 9. The final status of Nagorno Karabakh remains unknown. In 1994, a Russian-brokered ceasefire was signed leaving Karabakh as well as swathes of Azeri territory near the enclave in Armenian hands. However in December of 2006, a referendum that was declared illegitimate by Azerbaijan, approved a new Constitution for the region. Peace in the region seemed like it would remain, until a series of ceasefire violations began, the most recent taking place in April of this year, in which solders on both sides were killed. 10. Not all of the international aid is coming from the U.N.
Save the Children is one of the international organizations giving aid to the Azerbaijan refugees by restructuring the child welfare system, encouraging economic opportunities, promoting family and community healthy lifestyles, improving basic social and physical infrastructure, and creating new educational materials to facilitate early development growth. Both Azerbaijan refugees and internally displaced people of this country are still attempting to put their lives together 20 years after the still unresolved Nagorno-Karabakh regional conflict. However, with the continued support of the international community, their situations continue to improve every day.